This is part 4 of our Aesthetics 101 series. Due to the advancement in laser technology, it is now possible to significantly improve aged and sun-damaged skin, scars, hair, tattoo as well as various skin pigmentation with just a couple of skin laser sessions. The term "laser" originated as an acronym for "Light Amplification by Stimulated Emission of Radiation". Since its invention in 1960, laser system we have today are ever more sophisticated. There’s an endless world of options with lasers these days. Fraxel (Fractional), Pico lasers, Q Switch lasers, Long Pulse lasers, Quasi Long Pulse laser, CO2 lasers, Erbium lasers, Ablative, non-ablative, fractional and non-fractional and more than we could even list here without boring you to death. But do they work? How do they work? There’s a thousand questions around them to ask… so let’s get started! In order to reduce the confusion, we need to categorize the laser types so that if you know which category they belong to; you would have an indication on how they work and what they are most suitable for. 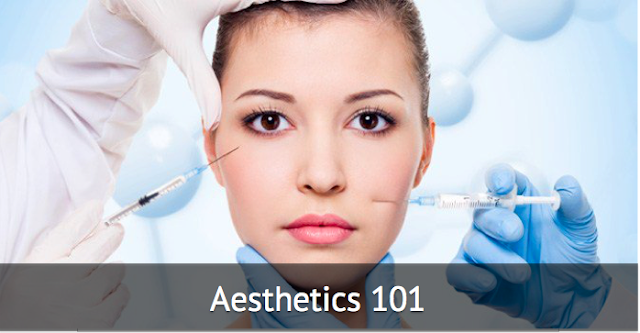 Ablative lasers vaporize tissue layers whereas non-ablative lasers are gentler and leave the skin intact. During the late 1990s and early 2000s, the gold standard for the treatment of dyspigmentation, acne and traumatic scars was the CO2 laser with its tremendous affinity for water. This laser superheats water molecules, and as the water turns into gas, the skin cells are vaporized. This laser was able to remove the entire epidermis and the resultant wound healing would lead to new skin cells replacing the treated skin cells giving rise to smoother and rejuvenated skin. 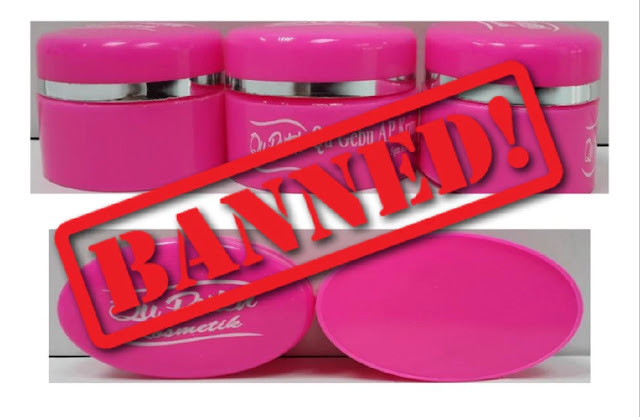 Typically, downtime lasted between 7–10 days and adverse effects included pain, edema, erythema and possible infections. It is clear that the amount of injury is also correlated with the amount of wrinkle reduction. The Erbium:YAG (2940 nm) was introduced as a 'gentler' ablative laser and was not supposed to produce the same adverse events as the CO2 laser. Downtimes typically ranged from 5–7 days and could still result in post-laser hypopigmentation. Due to the above noted problems, non-ablative laser technologies came into favour and worked well for vascular and pigmented lesions in the skin but did not provide the same results as ablative techniques for wrinkles and scars. These include lasers in the 1319, 1320, 1450, 1540, 532, 585, 595 nm wave-lengths. The most commonly used non-ablative laser today is Q-switched Nd-YAG lasers. The other more premium non-ablative laser systems worth mentioning are Copper Bromide Lasers, such as Norseld® Dual Yellow Laser, Pico-second Nd-YAG lasers, such as Picoway® laser, and Fraxel®. Non-ablative laser treatments work by using specific laser wavelength to improve the appearance of the skin without injuring the surface of the skin. Various laser wavelength targets different chromophore (colour) on our skin. The major chromophore of importance on our skin include, melanin (black), haemoglobin (Red) and water. Because each laser wavelength have specific affiliate towards a particular chromophore, careful laser selection is important. For example, Nd-YAG lasers that produce 1064 nm wavelength of laser are better suited in treating pigmentation related problem, while copper bromide lasers, with 578 nm laser wavelength are better choice for red coloured birth marks and tattoo. Non fractionated lasers act on the entire treated surface whereas fractionated lasers treat only portions of the treatment area. 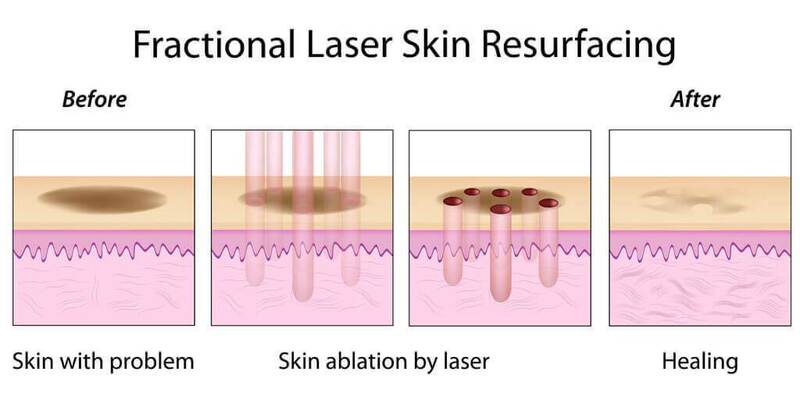 The fractionated devices produce small columns of thermal injury known as microthermal zones (MTZs) which can be either non-ablative dermal injuries only or both epidermal and dermal injuries with the ablative lasers. Fractional laser resurfacing was first described in 2001 by Dr Rox Anderson, a prominent laser dermatologist from Boston. In Australia, the first generation of fractional lasers was introduced in 2007. Numerous further developments and refinements have occurred since. Fractional laser resurfacing devices deliver very narrow columns of heat into the skin whilst sparing the intervening skin between the pinpoint injuries. There are two types of fractional laser – non-ablative and ablative. Fractional non-ablative lasers leave the tissue intact with an injury that is subsequently removed and repaired by the body. Fractional ablative lasers such as Erbium Yag and CO2 result in complete vaporisation of the tissue columns resulting in a microscopic “Swiss cheese” appearance of holes within the skin. Science behind fractional laser resurfacing? In the context of laser resurfacing, skin contains two layers, the epidermis or outer layer and the dermis or mid layer. The outer layer of skin produces pigment-producing cells called melanocytes and scale forming skin cells called keratinocytes. Aging and sun damage give rise to abnormal keratinocytes and uneven pigmentation derived from melanocytes. The dermis provides the scaffolding for skin. It is largely made up of collagen, elastin and blood vessels. Trauma, acne and burn scars may cause an abnormality of the ordered arrangement of collagen. Additionally, sun damage can alter the consistency of the dermis, fragmenting collagen and elastin. Depending on the wavelength and energy output, fractional lasers can either target the outer layer or deeper layers of the skin. The body responds to the multiple tiny injuries in the skin by removing the damaged tissue and replacing it with healthy, new, non-damaged epidermal cells that are probably derived from stem cells present in hair follicles. The body also produces new collagen and elastin to replace the damaged tissue. As only a fraction of the skin has been treated, there is a large supply of healthy surrounding cells to repair the damage. The amazing thing about fractional resurfacing is that it improves the overall appearance evenly, even though only a fraction of the skin has been treated. Why the need for different types of laser machines? Lasers are essentially focused beams of light at ONE wavelength/type. Each wavelength and type of laser is usually best at targeting one particular skin component. To illustrate, lets say laser A is very good for brown pigments. But if you used laser A to try to achieve results for pores, there will be minimal effects. Acne scars. Both non-ablative fractional lasers and ablative fractional lasers have been shown to be effective in treating acne scars, especially rolling scars, atrophic scars and boxcar scars. Fractional lasers have significant advantages over fully ablative lasers in terms of decreasing downtime and side effects such as the post laser, skin colour changes frequently seen with fully ablative lasers. Surgical, traumatic and burn scars. Skin rejuvenation to improve sagging skin, pores and wrinkles. Sun damage and sun spots. Pigmentation such as freckles, Ota’s nevus, Hori’s nevus, seborrhoeic keratosis and solar lentigo. Melasma (as a last resort in carefully selected cases). How often should laser treatment be given? Once every 2 weeks, at most. Laser protocols should be based on effectiveness and safety, and not on profit alone.Quick laser resurfacing treatments without any numbing cream are just treating the skin surface. Weak powered laser treatments at more frequent intervals do not achieve the results of a properly powered treatment, and can cause severe side effects like skin mottling and long term skin sensitivity. 'More' does not mean 'better'. There are certain mass market retails chains offering daily laser regimes. You need to ask whether the protocols are developed for profit alone or is it for effectiveness and safety? As mentioned above, weak powered laser treatments can cause long term side effects such as skin sensitivity and skin mottling. Although there are laser protocols provided by manufacturers, each customer's skin is unique and treatment will need to be personalised for every customer. That's the difference between a trained and untrained laser therapist. However, please take note that though higher laser energy settings is generally more effective, they also results in more downtime and side effect risks. The downtime needs to be communicated with the customers upfront or else there will be many 'one star ratings' for your clinic. The best way for practitioners to learn about laser products is to read studies, as well as attend meetings where clinical research is presented. Ask key opinion leaders who have experience with the studies and are not vested in the company as a consultant. Bring the machine into your practice on a trial basis to see if patients like it. When new aesthetic systems hit the market, manufacturers will arm their sales people with white papers and technology background materials that purport to prove efficacy, best results, etc. While I’ll read them, I also take them with a grain of salt. Before I seriously review a product, I wait for peer-reviewed studies to be published. With white papers manufacturers can skew the test results any way they want, but peer-reviewed materials tend to be more objective and the statistics are more qualified. 1. Beasley K et al. : Ablative Fractional Versus Nonablative Fractional Lasers – Where Are We and How Do We Compare Differing Products? Curr Derm Rep 2013; 2: 135–143. 2. Preissig J et al. : Current Laser Resurfacing Technologies: A Review that Delves Beneath the Surface. Semin Plast Surg 2012, 26(3): 109–116. 3. Gold MH: Update on Fractional Laser Technology. J Clin Aesthet Dermatol 2010; 3(1): 42–50.